Obituary for Francisco Diaz Ruiz | W. Orville Kimmel Funeral Home, Inc.
Francisco Diaz Ruiz Sr., 84 of 300 N 69th St. died Thursday, January 17, 2019, at Penn State Health Milton S. Hershey Medical Center. He was a hard worker, loving husband, father, brother and grandfather. Surviving are wife: Josena Diaz Ruiz, 1 son: Junior Francisco Diaz Lopez, Sister: Lydia Santiago, Grandkids: Hannah & Jay-Jeanette (Auxier) Diaz, Heidi Forney, Junito, Nicholas, Franky & Bradyn Diaz, Chris Peña, Bently & Brysen Zeiders, & Xander Hay, Grandpa-in-law to: Shawn Auxier, Matthew Hay, Enid Valentin, Father-in-law to: Madelyn & Stacey Diaz, & Ida Diaz Reyes. 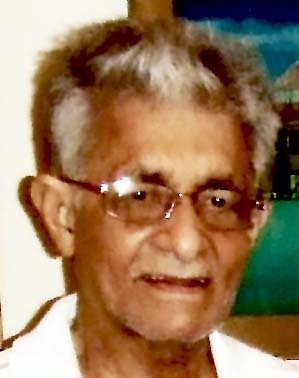 Deceased son: Jorge Hiram Diaz.